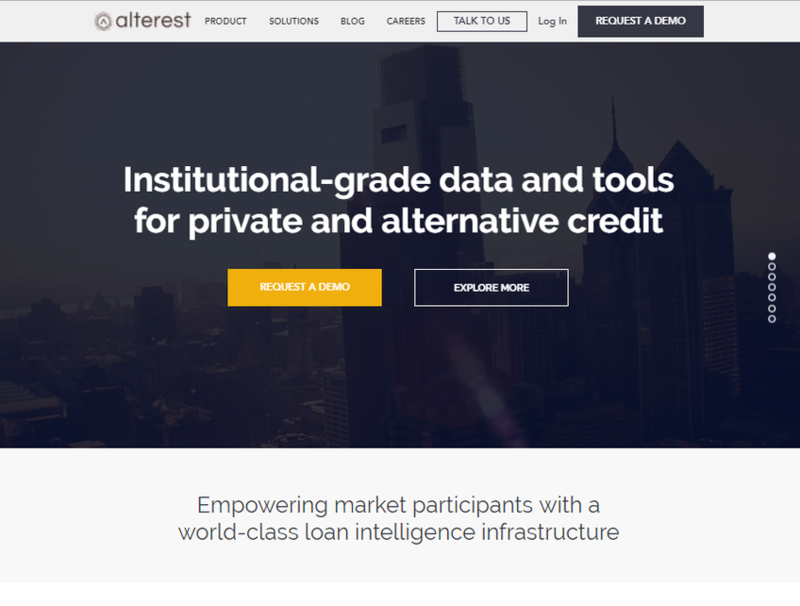 Alterest is a data and intelligence provider. They are creating data products with deep analytics for participants in the lending markets, starting with a specific focus on alternative, non-bank lending. Their goal is to enable a sustainable and continued expansion of the wider lending universe beyond the banking system. Their tools provide lenders with market and borrower insights while their sophisticated loan analytics platform gives capital.